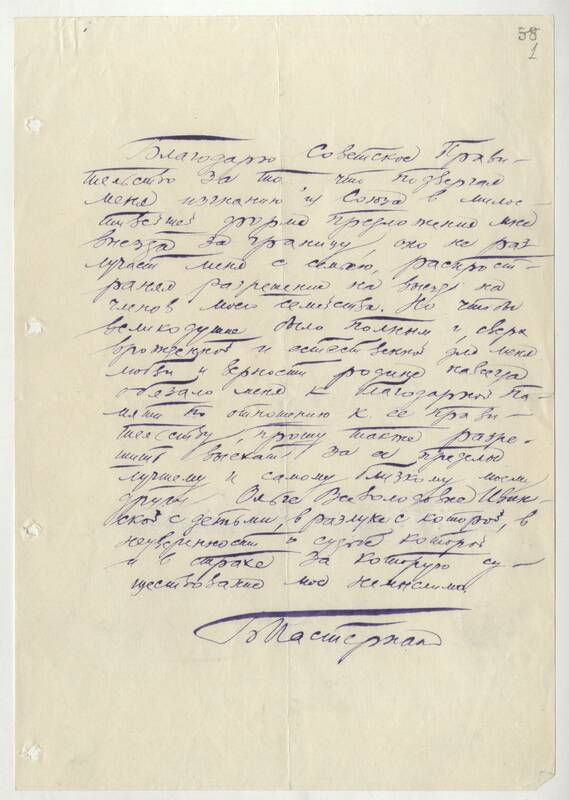 Scanned materials dedicated to the publication of the novel "Doctor Zhivago" abroad, the awarding of the Nobel prize (23 October 1958) and developed in the Soviet press campaign against Boris Pasternak. Among them letters to foreign publishers, letters to the poet N. With. Khrushchev, address to the Soviet government, letters to the editor "the Literary Newspaper" and "Pravda" with the refusal of the Nobel prize, etc. Look the section "Correspondence".